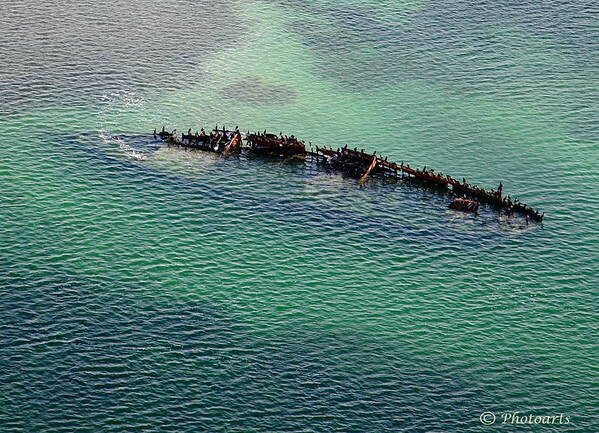 Off the coast of Key West Florida, the partially sunken skeleton of a long lost ship at sea makes a stand for seabirds. Excellent, what a great capture! I love the water colors. Very nicely captured. Great Point of view ?? Cool find and composition. Great color too!